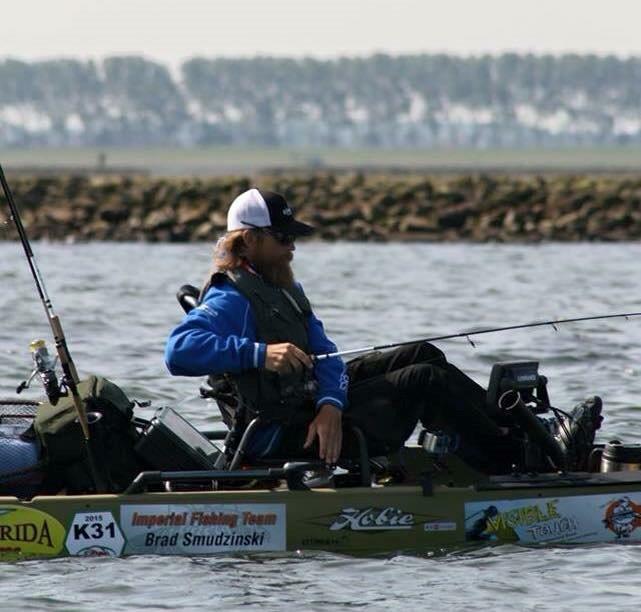 Start Carp-Gps News Brad Smudzinski – a real Angler! > All fat (bold) lines are about Brads thoughts / experience about line and fishing. > In addition each picture has a picture description (non bold) . p.s. 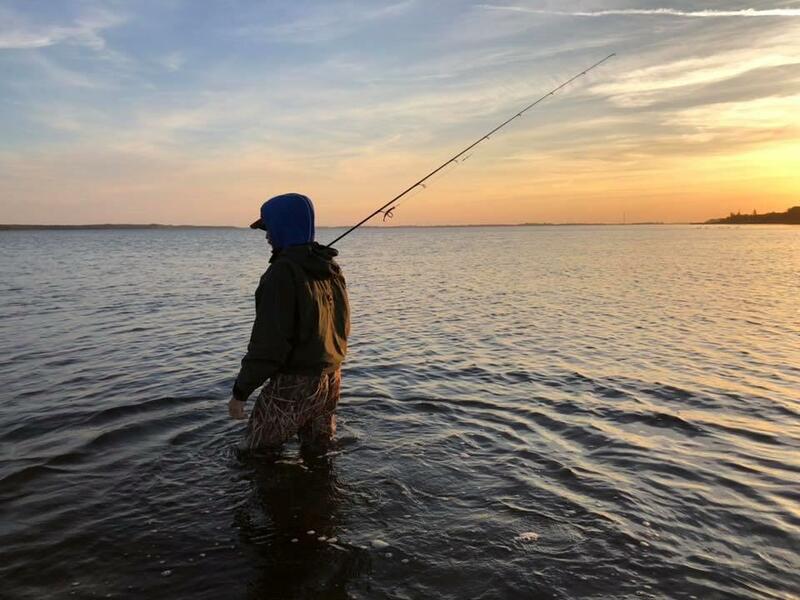 I do not know many anlgers who cast and cast even when it seems there is no chance for a fish and everybody else already went home. And suddenly Brad proofs that there was a little chance…! Each cast count – this sentence could be from Brad. 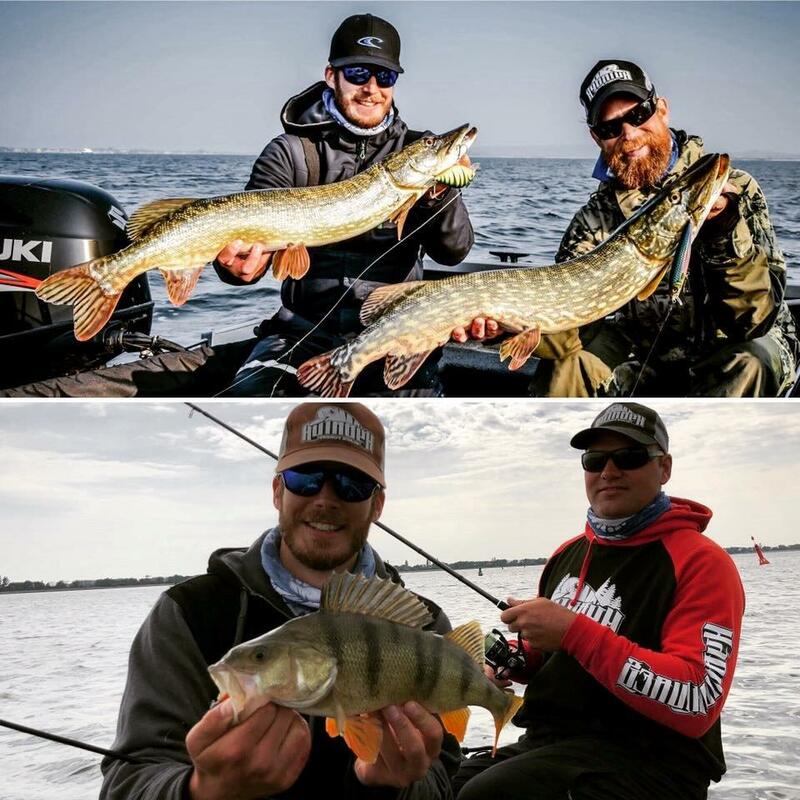 Brad Smudzinski: „To me one of the most critical components of our tackle is the line which we have on our reels. Vertical fishing from the kayak is one of my favorite styles of fishing, it is very much like ice fishing. The line must not only be strong in terms of breaking strength, but also withstand abrasion from things it comes in contact with below the surface. 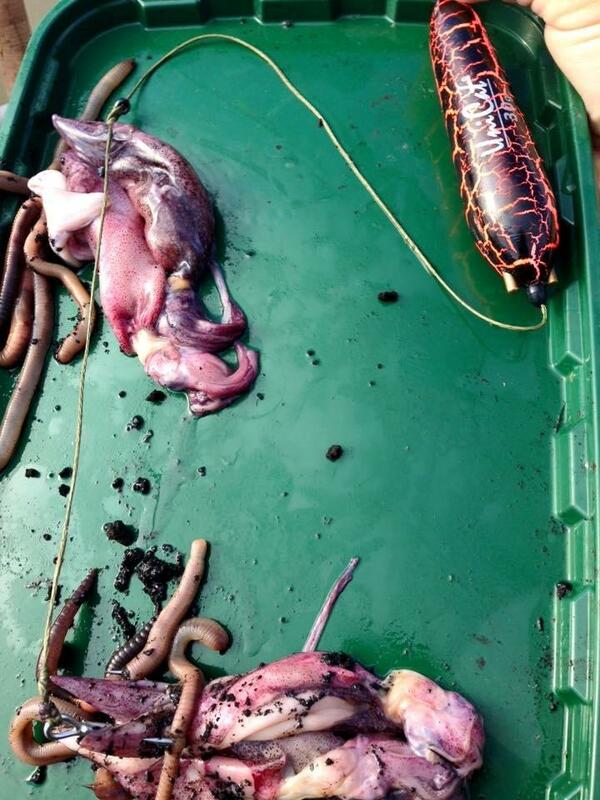 Calamari and night crawler worms are a great alternative to live bait, which is illegal in Germany. It must also lay correctly on the spool as this is a big factor in its ability to be cast out. It is also critical even when the line is brought out to the fishing location. 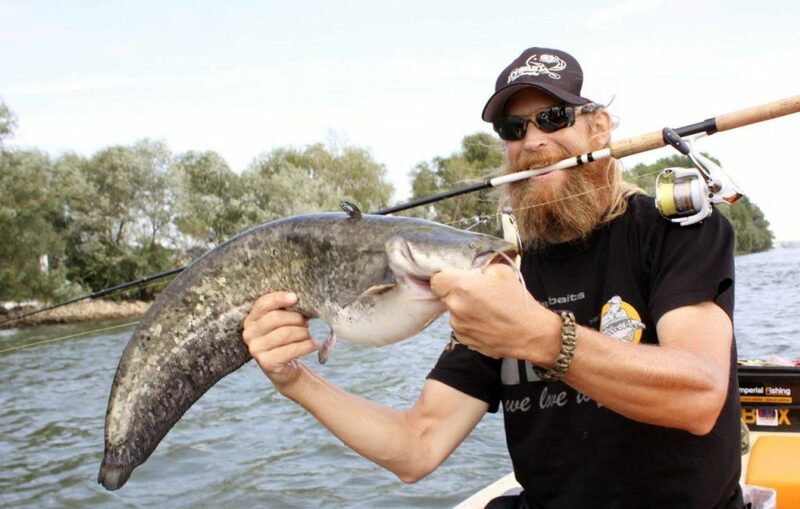 When spin fishing on the Rhein river you never know what you will catch as shown here with this small Wels catfish. When the spool is opened and the line glides through the rings on the rod this should happen in a smooth controlled manner and not jump or spring from the spool. 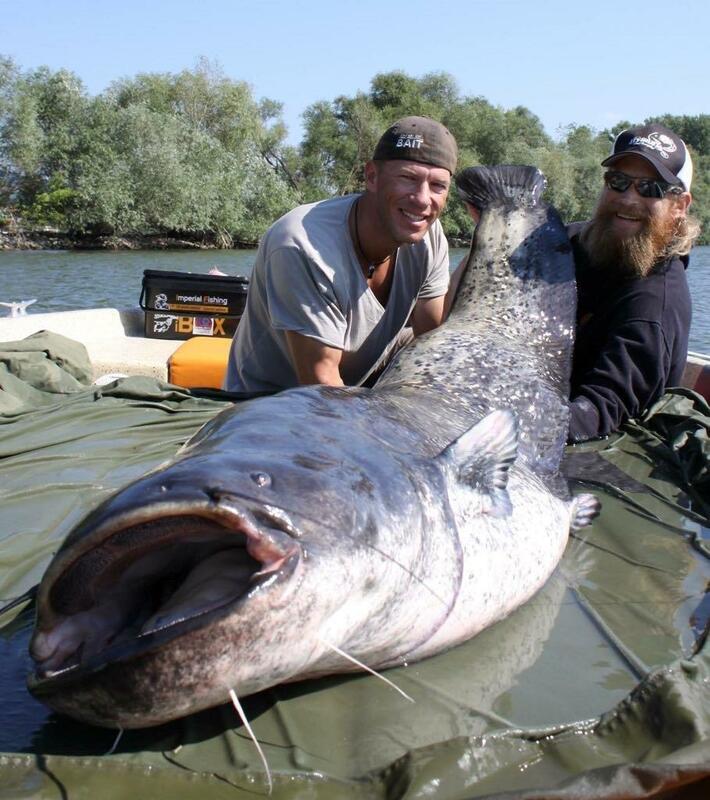 A larger Wels catfish caught in mid summer on Father Rhein. I am one of those strange breed of anglers who simply loves fishing. It does not matter to me if they are toothy or not. 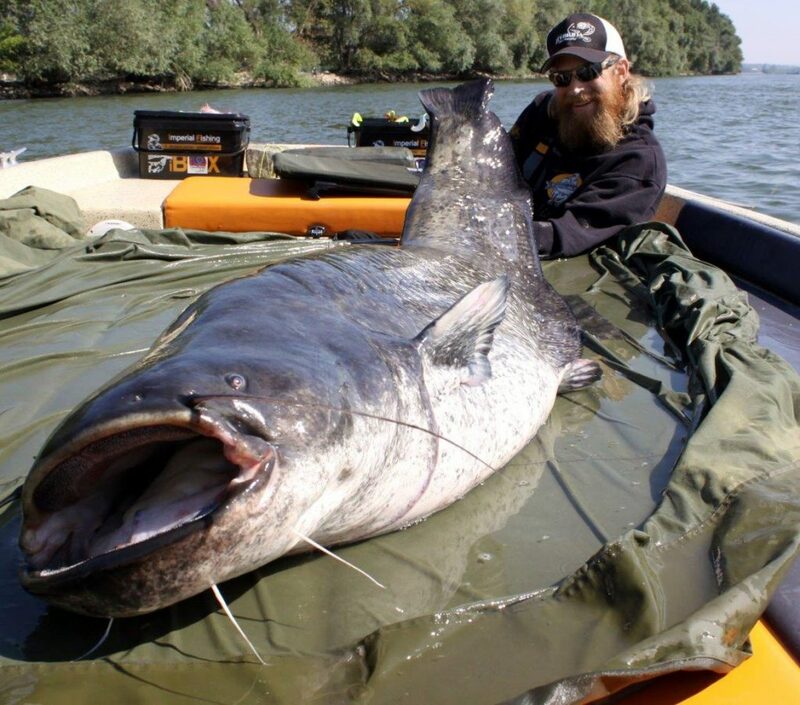 For me there are seasons which scream carp angling, and other times of the year which have me dreaming of giant Wels catfish. Bass, bass baby. 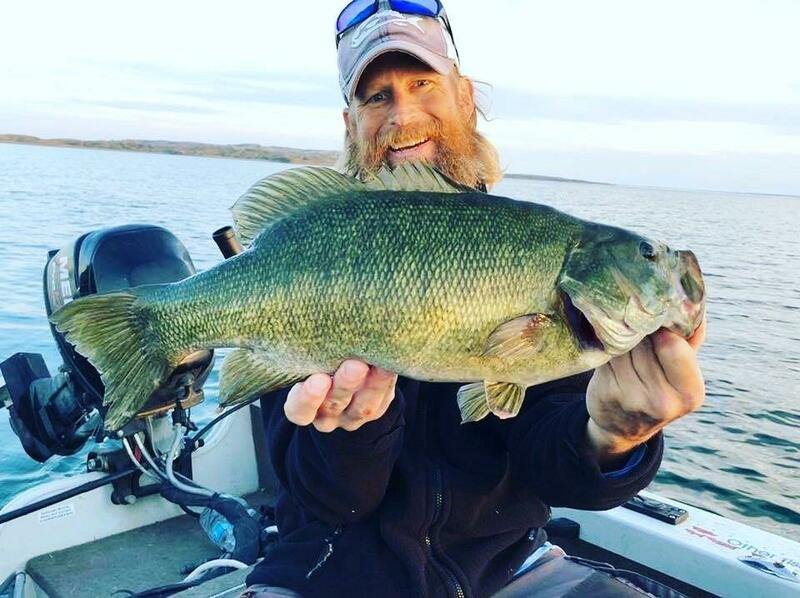 A smallmouth bass caught in Montana. This one is pushing the state record in length and a bit under weight. 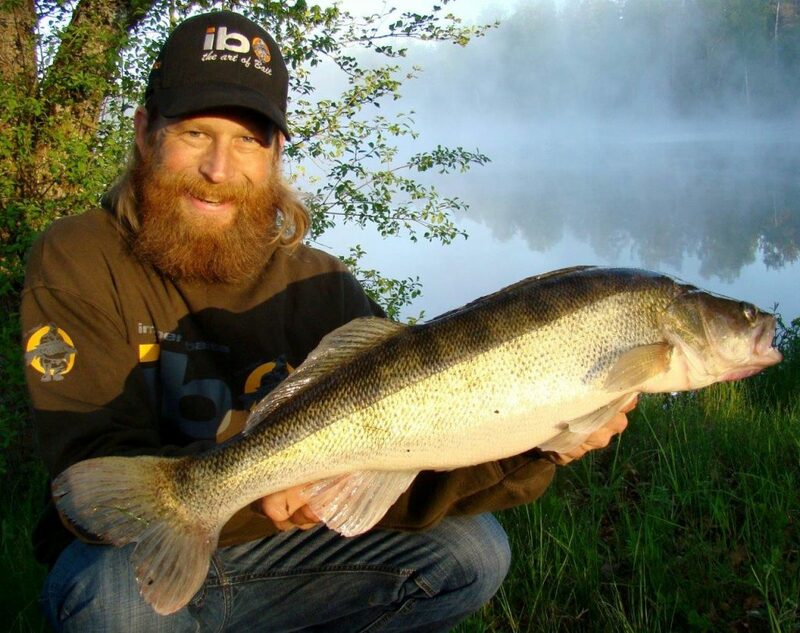 There are also a few months in the year which are really productive for Pike, Perch, or Zander. 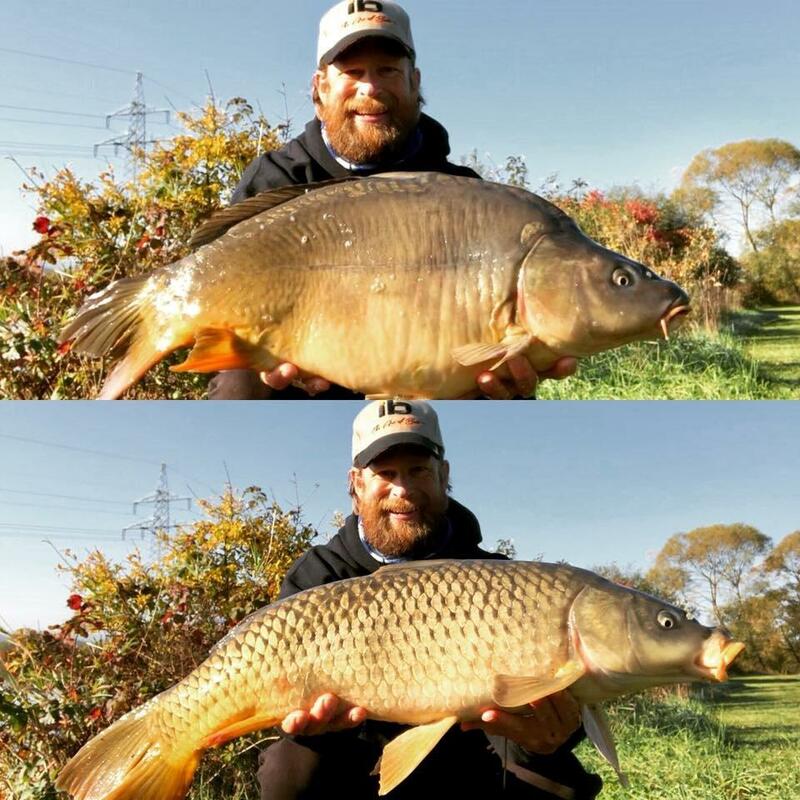 A nice double brace of a common and a mirror carp on a small gravel quarry in Bayern. 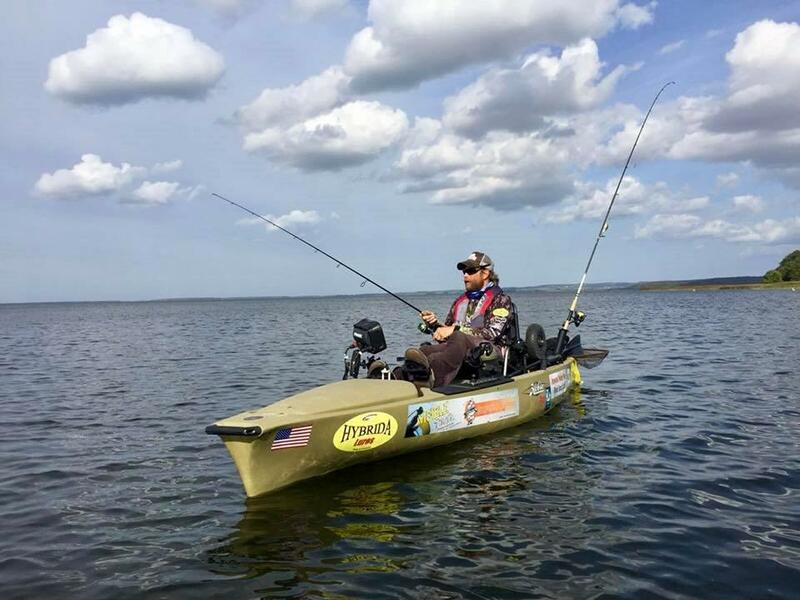 I love to cast from my kayak, I love to vertical fish for Wels catfish, I enjoy very much sitting on the bank and waiting for a carp run. Christmas 2015 was spent among friends on Cassien. 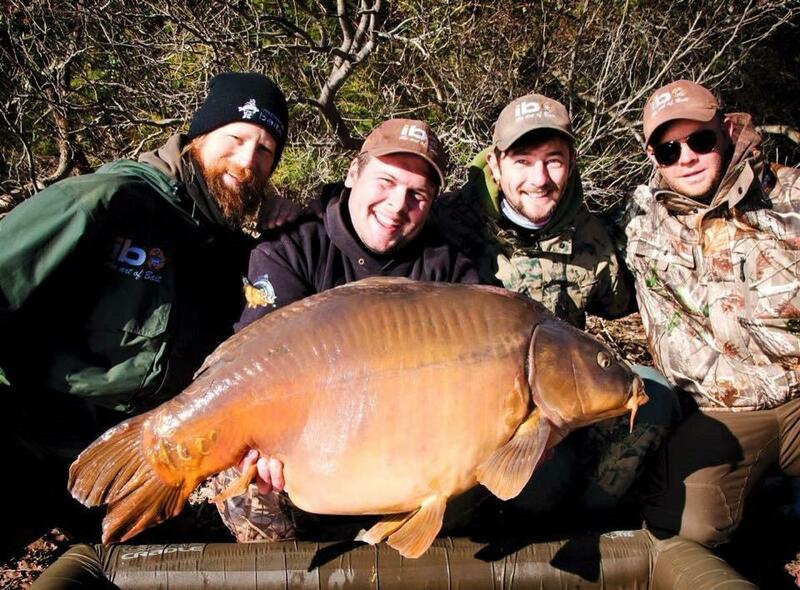 Many carp over 20kg were caught on this session. Social fishing, fishing alone, with very much tackle, or just me and a rod and a handful of lures. It’s all the best part of life for me. 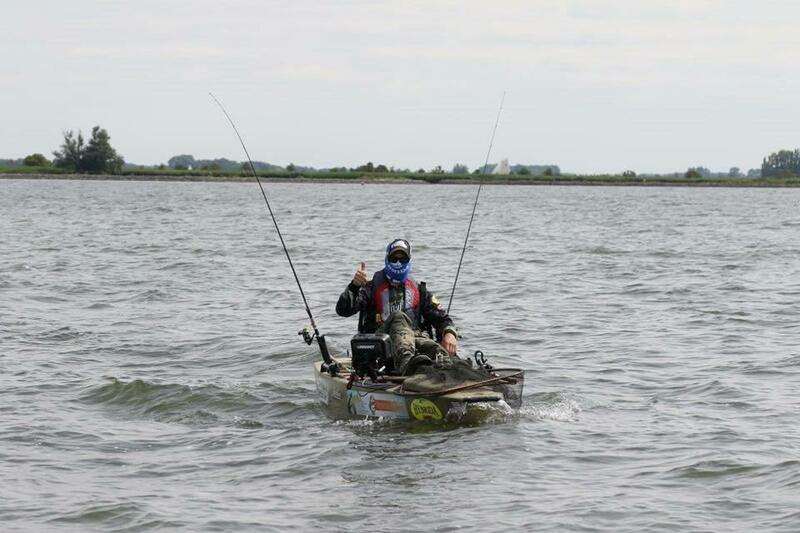 Kayak parade of nations at the World Predator Classic in Holland. Let your flags fly! That being said, there are very few things from my carp fishing gear which I can use in my predator fishing. 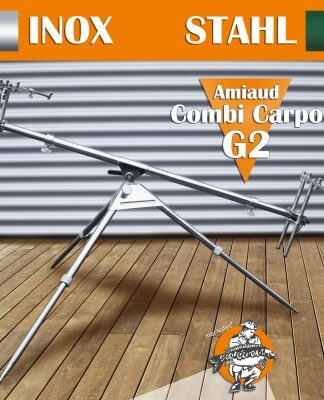 Rods and reels are not compatible for example. 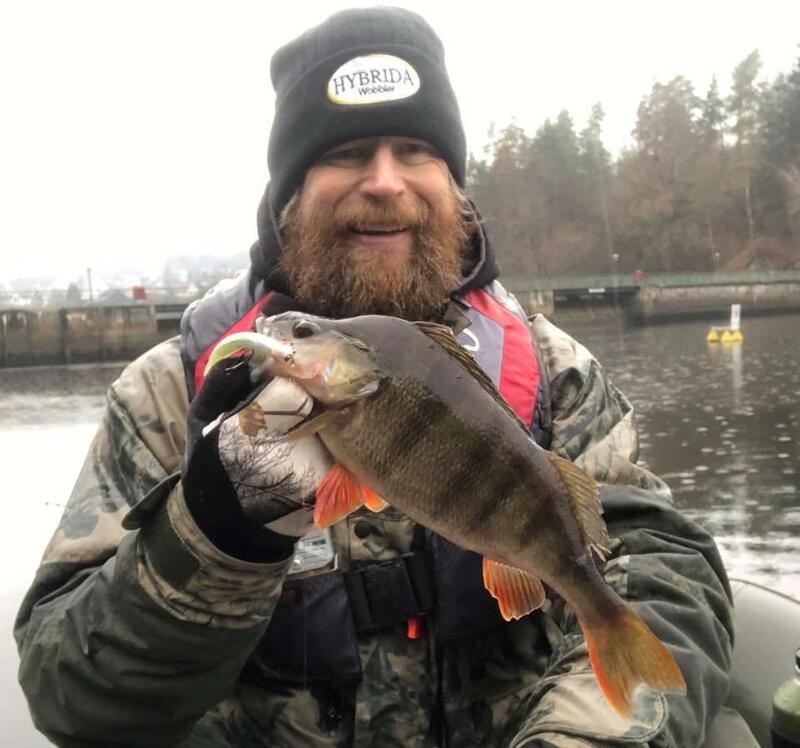 Perch in Europe do not get as big as bass in the USA, but they are still nice fish as shown here. 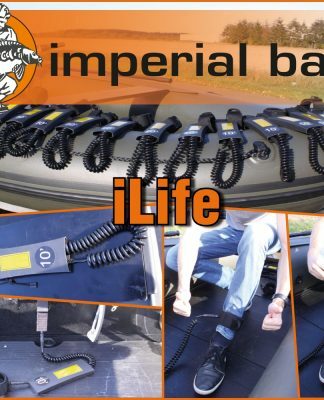 One thing which I have found that I can use for all my fishing pursuits is the fishing line from Imperial Fishing. 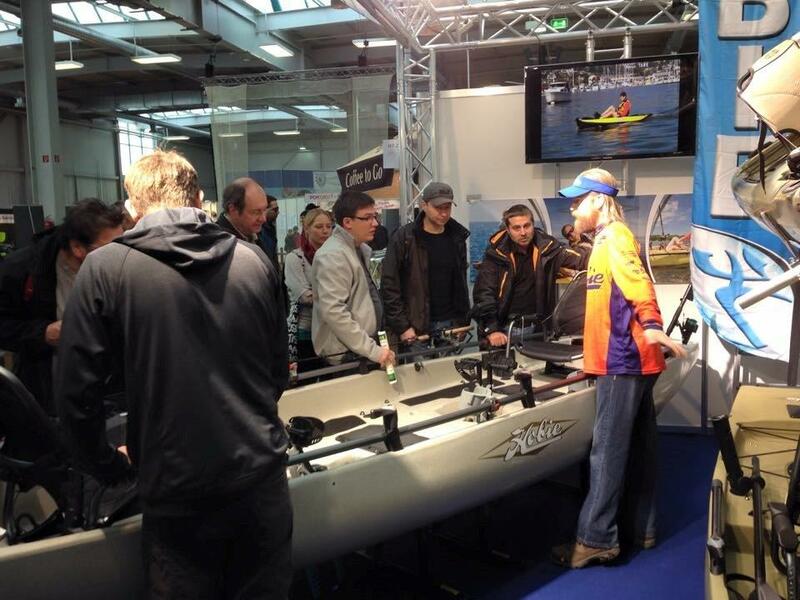 As a sponsored angler there are many meetings a year where equipment is shown to anglers all over Europe. 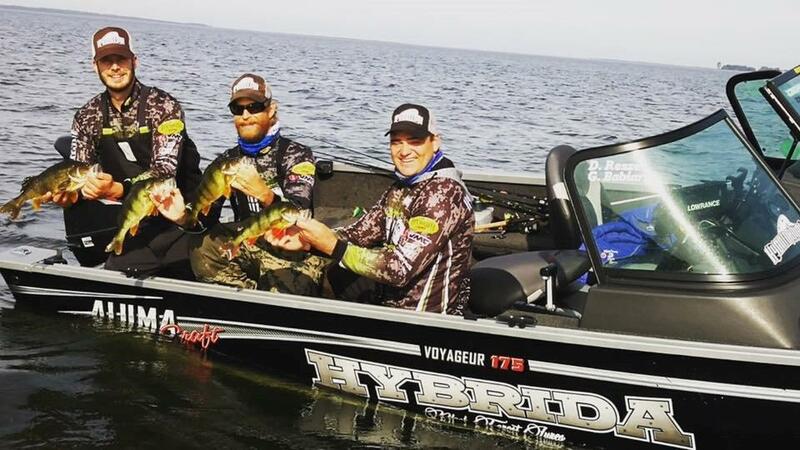 Here in Ruegen Germany at the Hybrida Lures hard bait event. I have caught catfish over 2 meter 20, hundreds of pike over one meter, large toothy vampire looking Zander, and even Perch up to 53cm. 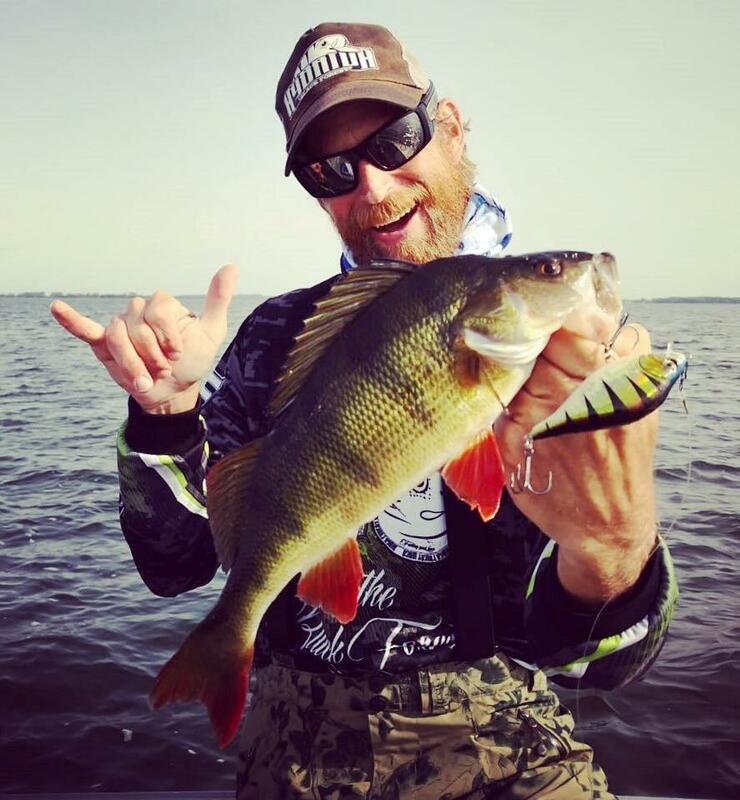 Many perch caught on one spot while fishing in the Boden waters of the German East sea. The line I use most often is the Visible Touch, which is yellow in color. There is also the Invisible Touch, which is grey in color. 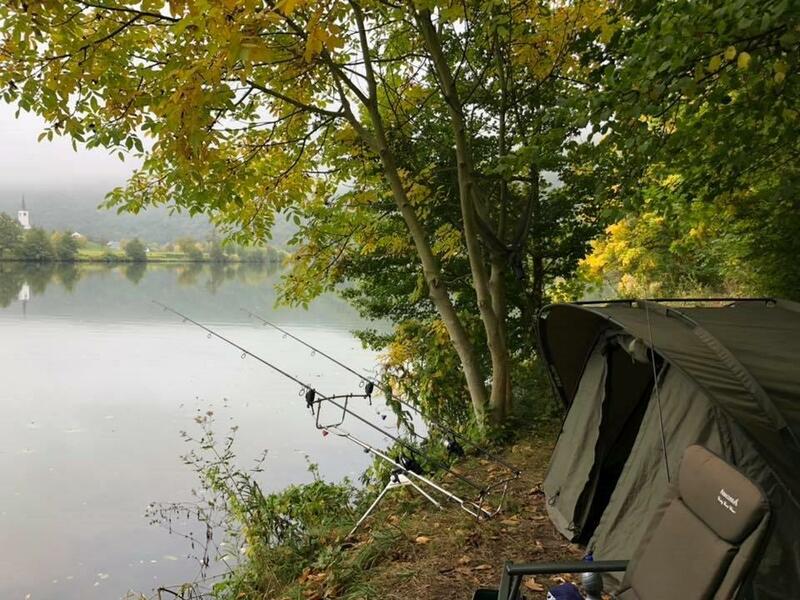 Walking out to a spot in waders to try your luck is one of the quietest persuits there is in all of angling. I prefer the yellow line as it is much more visible to me as the angler. This has many advantages. For one, I can see where my lure is when it hits the water after casting. Pike and Perch are easy to find in the German East sea brackish waters, walleye- not so much. I can track it from my rod tip until it hits the water and then all the way back to the rod tip again. 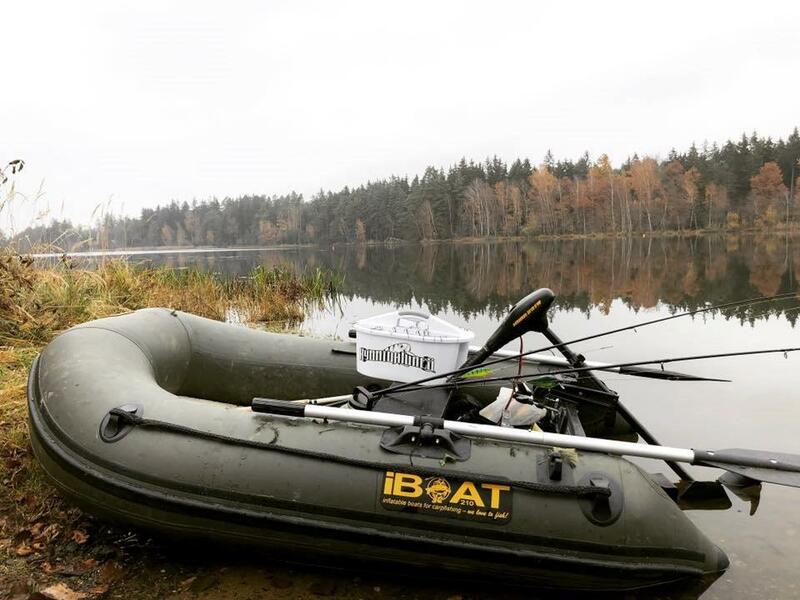 The iBoat 210 rigged for some spin fishing. 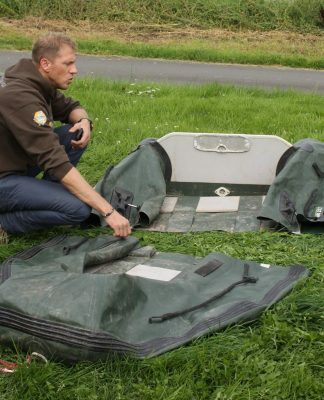 There is enough room for the angler, his tackle, an echo sounder and battery, and an electric motor as well. In this way I can see much easier if there has been anything which has come in contact with the lure or bait as it tracks through the water. 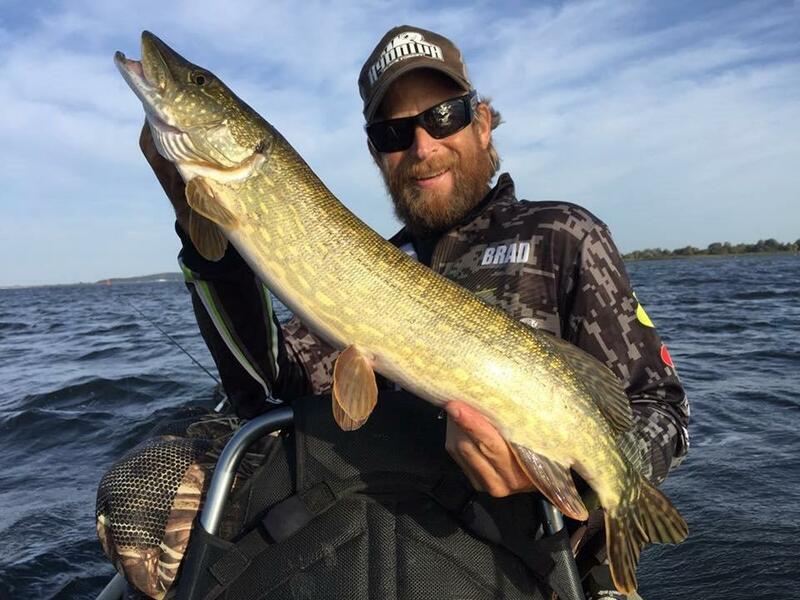 Even not so big pike make for fun when your in a kayak. You can see any little bump, and better detect finicky bites such as those from Zander. 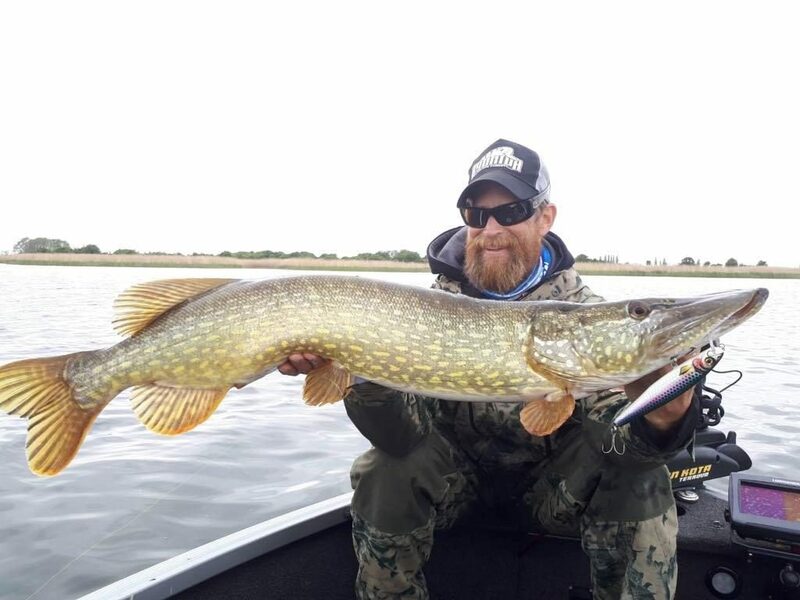 Pike have some of the most interesting patterns some times. 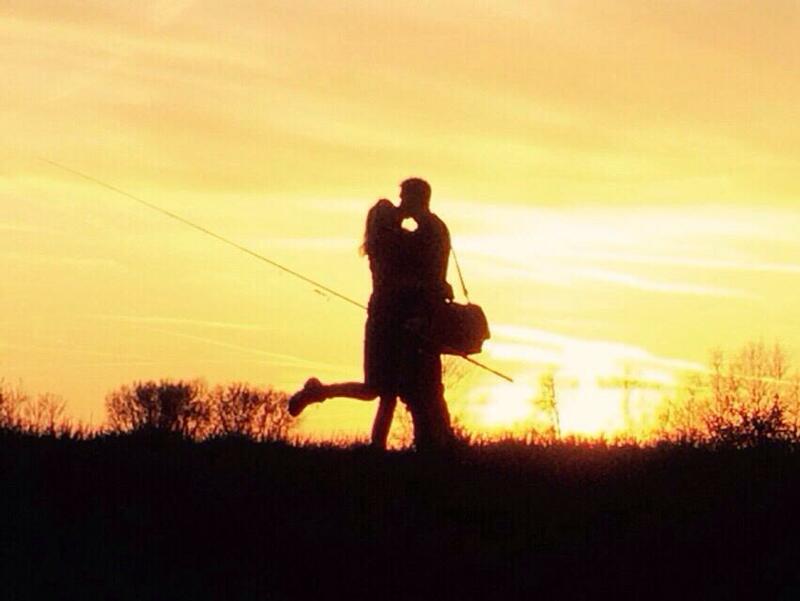 When carp fishing it has its advantages as well. The property of this fishing line is that it is neutral in the water. That means that for the most part it neither sinks nor swims. 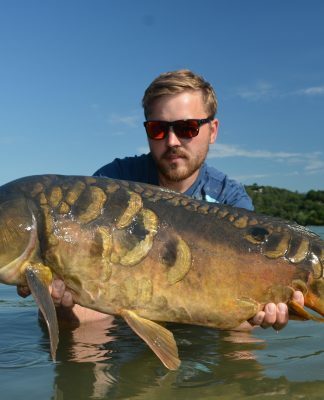 A picture perfect mirror carp, some day it will be a great capture for someone. It stays at the depth at which it is placed. When the line is brought out with a boat to the target spot, I can open the spool and let the line and rig fall to the bottom. 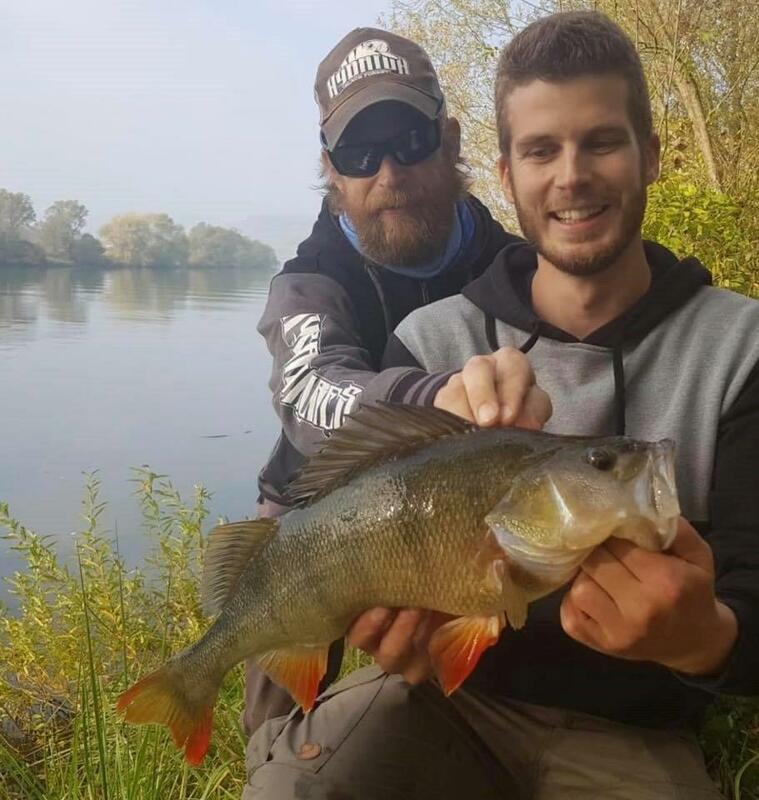 Perch fishing is one of the types of fishing which can be done year round in Germany as they do not have a closed season most places. I do this most times with a controlled back reeling of the reel. I can then hold the tip of the rod in the water as I return back to my swim. Bivy life! 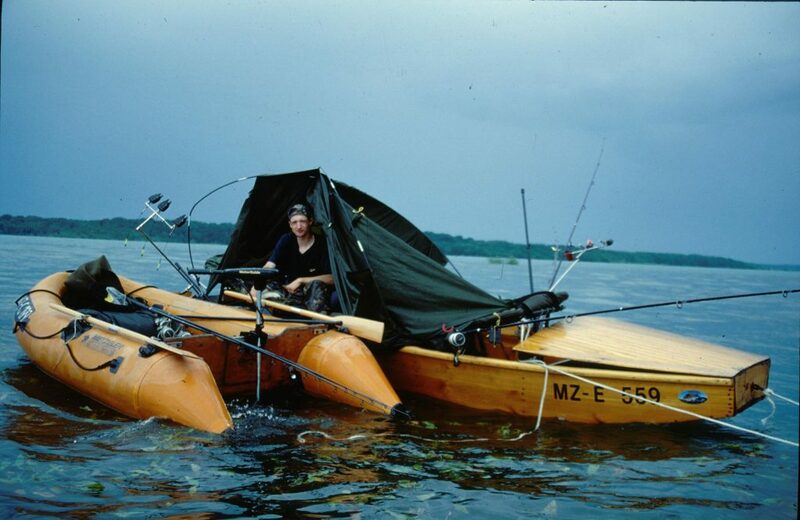 Who does not love setting up right on the edge of an a beautiful water? Here the river Mosel. As I go back to shore I can see the line in the water and ensure that there are no large bows in the line and that it remains as straight as possible. 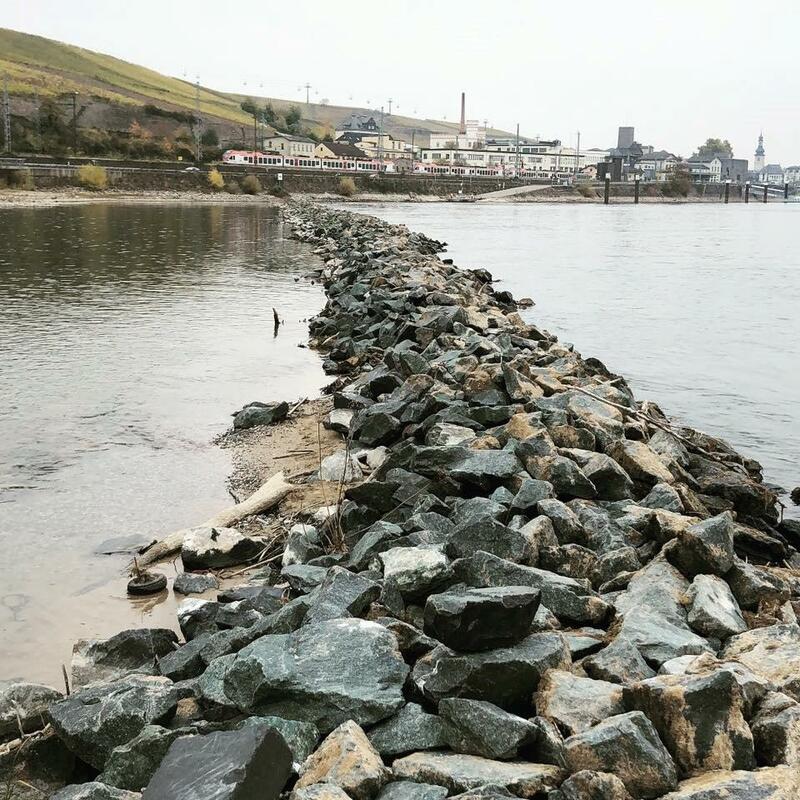 The Rhein river experienced record low water levels in 2018 as seen here. This is much easier to do with the yellow line. Once back on the rod pod the line is clear as it goes from rod tip to the water surface. 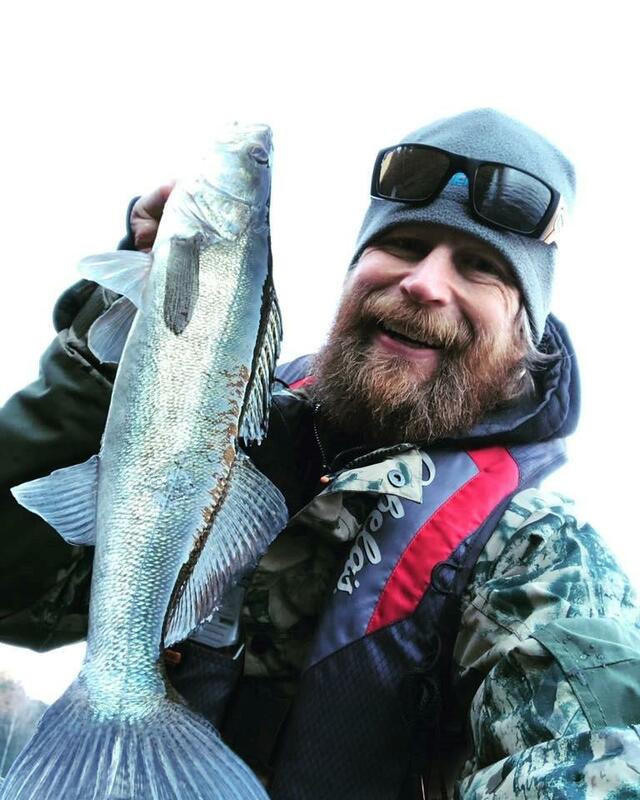 One of the elusive zander caught in a winter session using the vertical jigging style. When fishing two or more rods in close proximity this has its advantages. 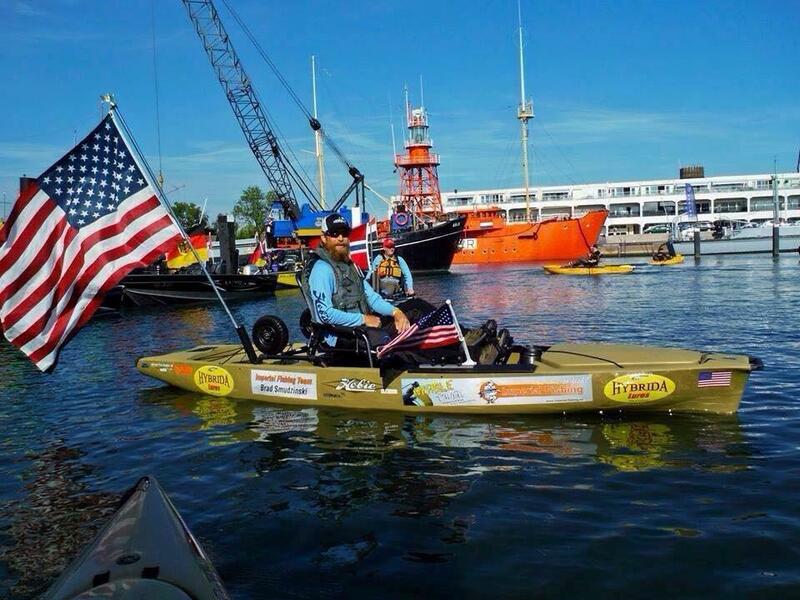 When you are out in the kayak there are no other sounds than the wind and the water. It is so nice not to here an engine grinding away all day. One can maneuver the boat under the lines, or around them much easier. 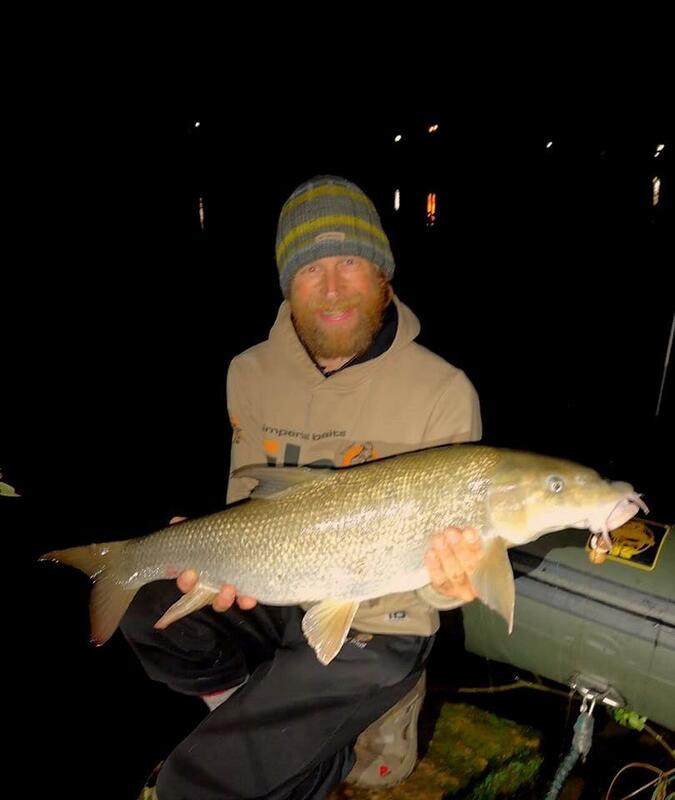 A big surprise when carp fishing in the river Mosel, a barbel of some good size. You can also better see the influence of wind, or current on the line when it is so visible. Takes become much easier to spot as well. 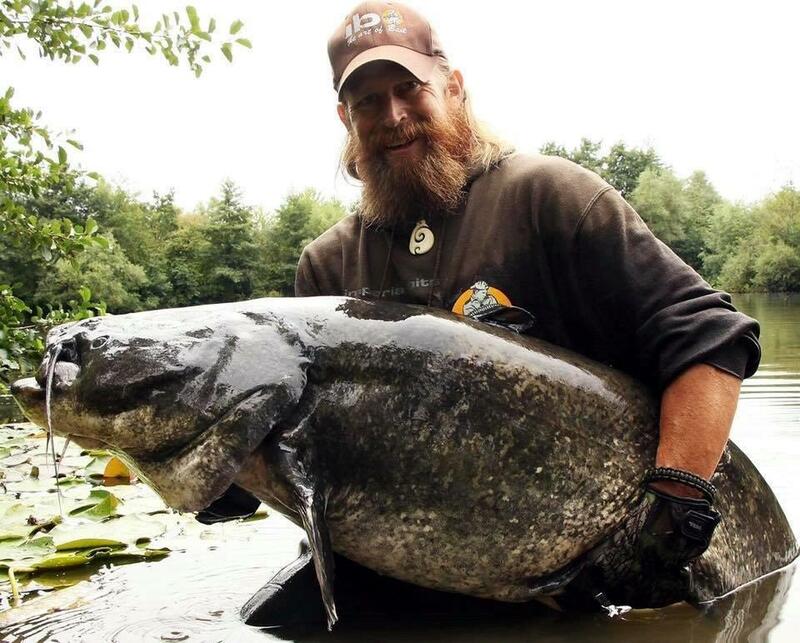 This Wels catfish was over 2,20m and caught in a German rock quarry on .17 Visible Touch fishing line. At night in the headlamp the line is easy to make out and there is less chance of running into it with the boat. 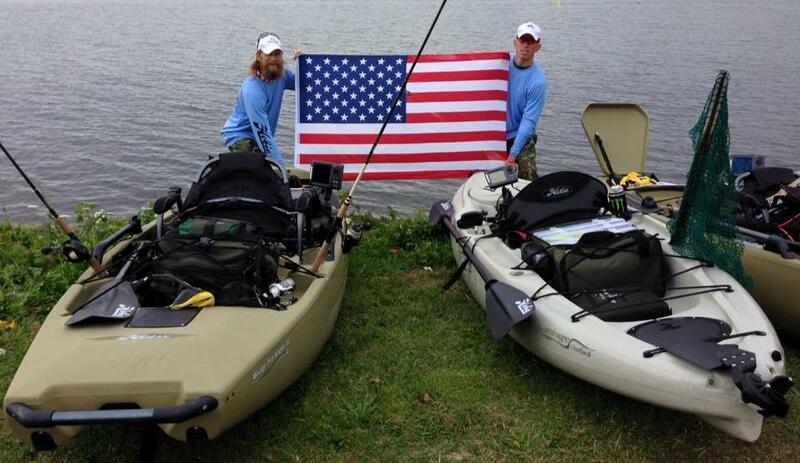 When on the kayak there is a lot of work involved just in getting to the spots you want to fish. Some might think that this is a disadvantage, the line being so visible. Once one is educated on how colors appear and disappear under the water’s surface this is much less a concern. 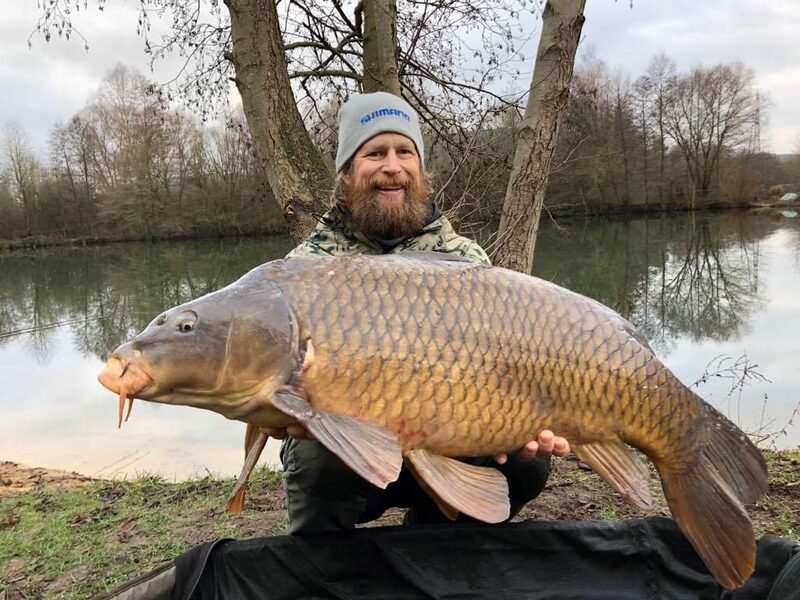 A capital perch of over 50cm caught by my friend Mike on the Mosel river. The ability to determine colors at depth by fish is often way overestimated. 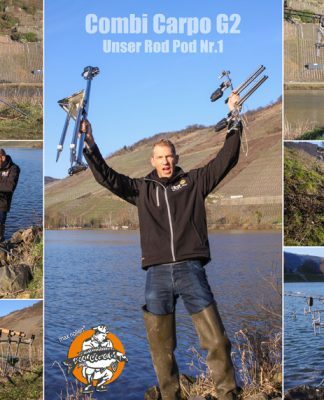 Those who are really interested should check out the YouTube page of predator angling guru Uli Beyer as he has studied this to a great extent. Wind, waves, cold temperatures are all more extreme when you are not on a big boat. At the end of the line before the rig comes into play I also use 20-40m of Shock It mono leader. Max Nollert and I on a summer fishing trip on the Rhein. All fish caught in the powerful river system are considered „team fish“. 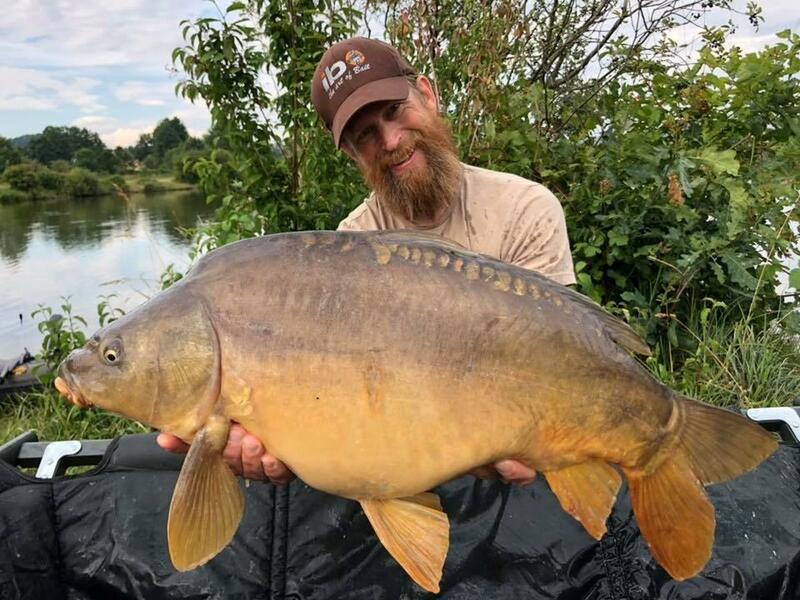 This ensures that the last meters before the rig are laying on the bottom and that there is little chance that the yellow line is ever seen by the carp. 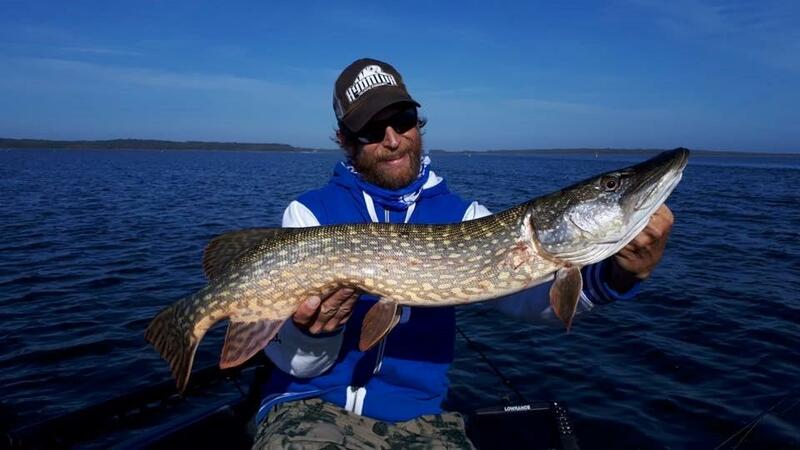 Pike over one meter are always special fish and make a guy hungry to catch more. It also provides the function of a puffer between the braided line and the hook link and hook. There is little chance that the hook will be ripped from the lips as the shock leader softens this effect. 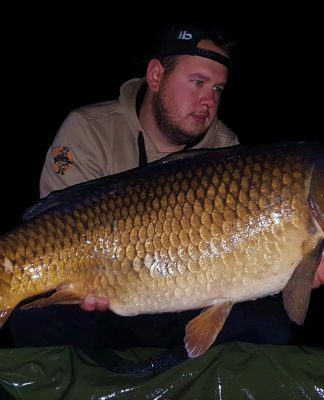 A long common caught on a German gravel pit in January, the first carp for 2019. The line comes in two dimensions, 0.17 and 0.30. The heavier line is called Snaggy Water and has a test strength of 21kg. This is the line that I use on my pike rods. The flag parade before the start of the World Carp Classic on Lake Bolsena in Italy. The 0.17 with its 15.4kg strength is the choice for Perch and Zander. These are true diameter measurements and the breaking strength is accurate as well. 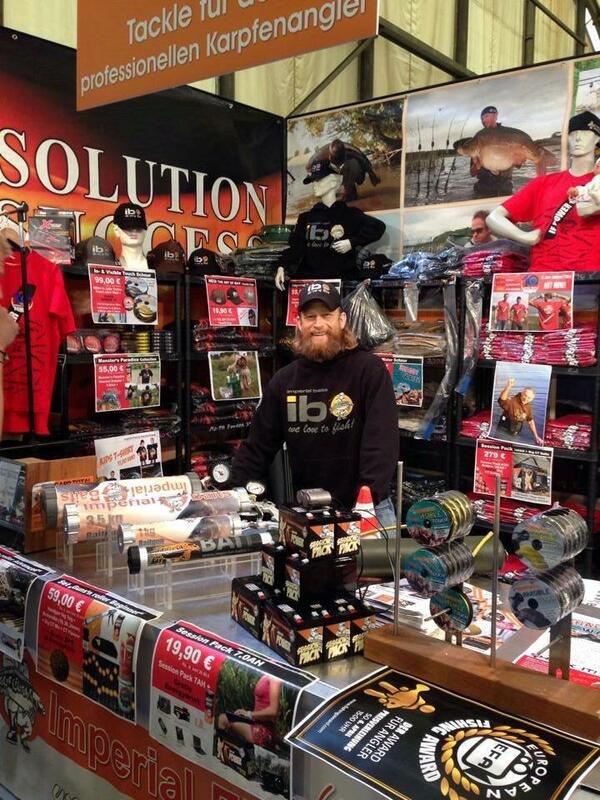 Meeting fellow carp anglers at expos is always a highlight. 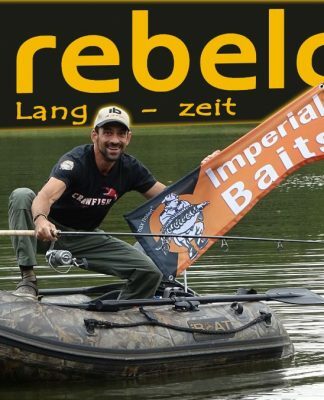 There are some firms which tend to say their line is thinner than it is or that it is much stronger than in reality, that is not the case with Imperial Fishing. 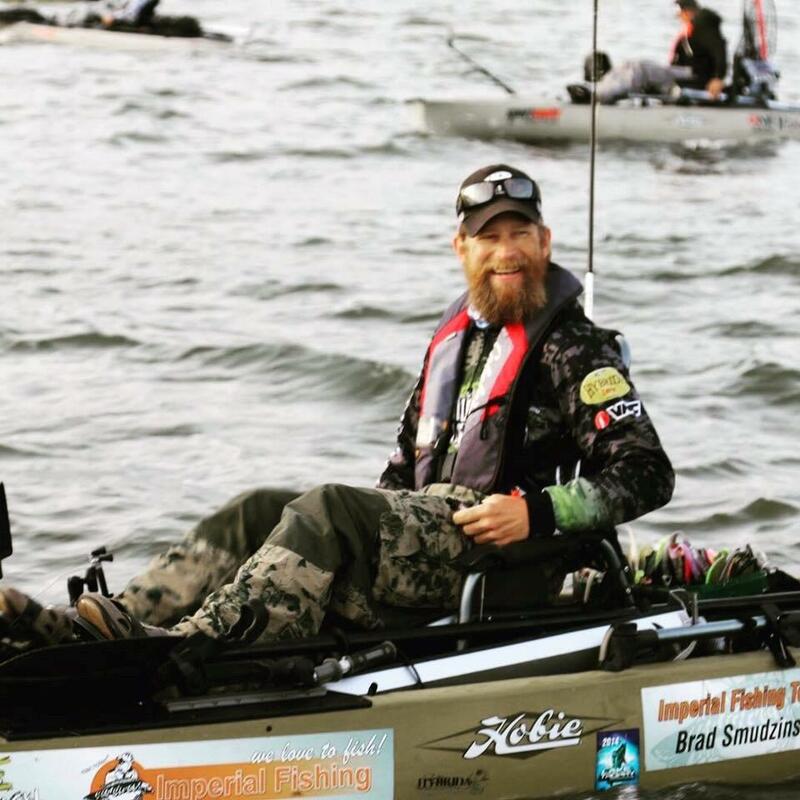 A cool thing about tournament fishing is that there are always nice photos taken and a chance to be seen in the media along with other top anglers. So, just how good is the line? 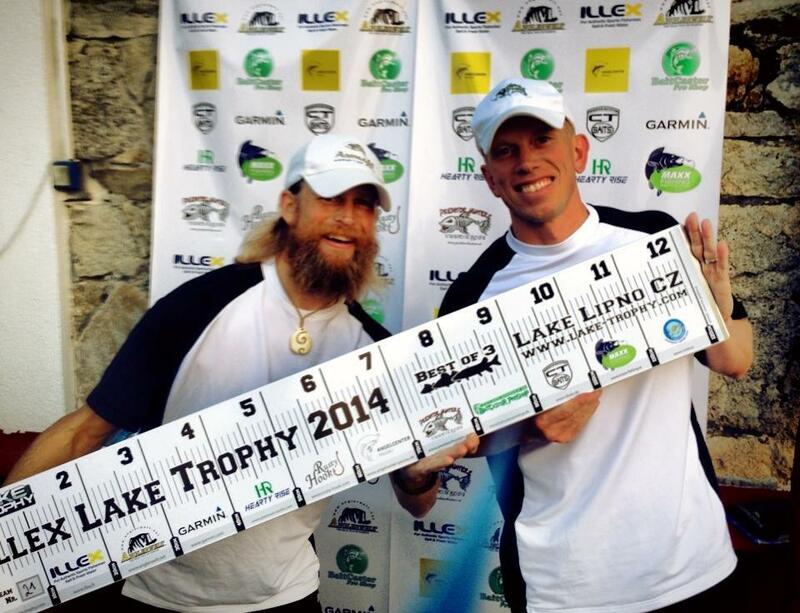 Well I have fished it exclusively for over 5 years in tournaments all over the world. From the USA to Holland, to the CZ Republic, to Italy. Zander are some of the prettiest predators. This one caught as I packed up the carp rods and made a few cast with the spin rod before heading home. I have never had a line failure. 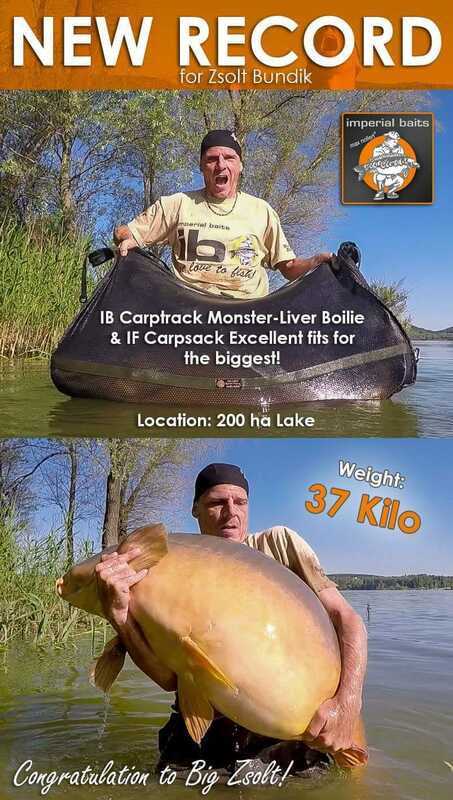 I have landed catfish up to 65kg on the “30kg” Snaggy water. To me, the cost of the high quality braided line is one which I gladly pay. 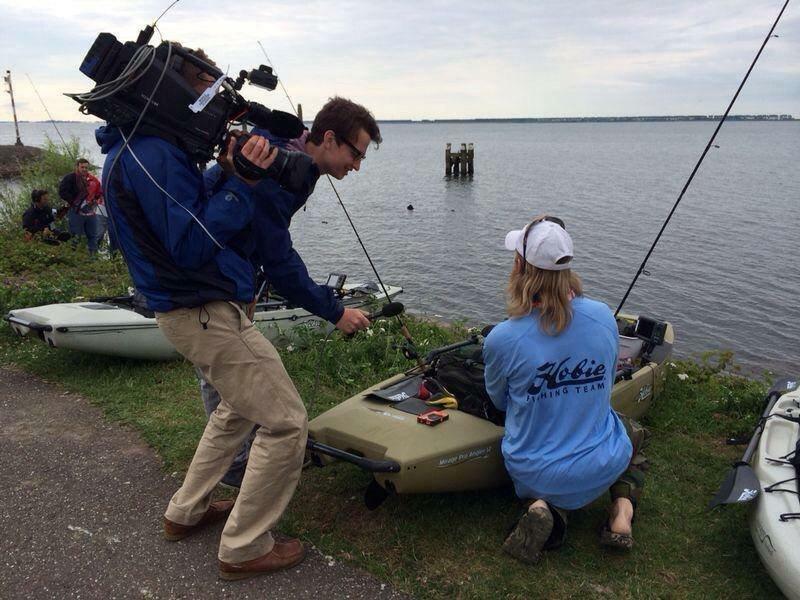 Working with local fishing clubs and kids is always a great part of being a sponsored angler. It is the thing that puts me “in touch” with the fish. I have used the same line spooled on my reels for many years without worry that it will degrade over time. 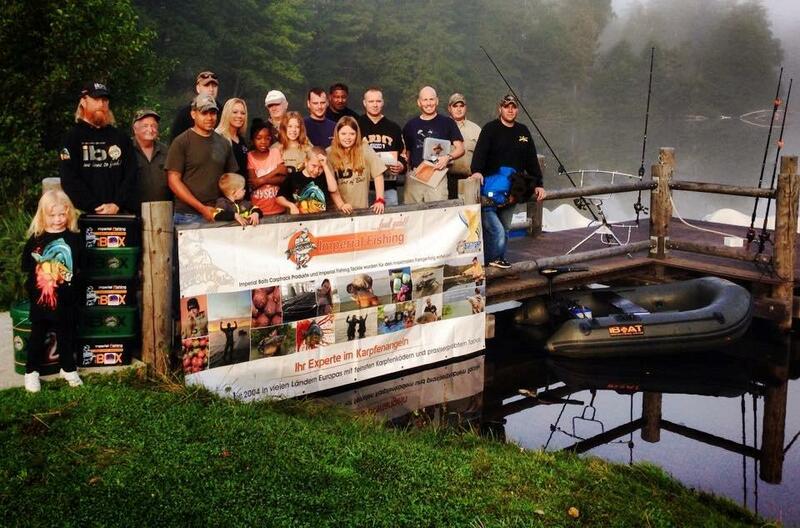 Fishing tournaments with friends creates life long memories. To me, it is an investment in quality tackle which has paid off over the years. I even won $2000 winning an ice fishing tournament in Montana on a Visible Touch spooled reel! Working at expos you are in direct contact with customers and potential future customers. 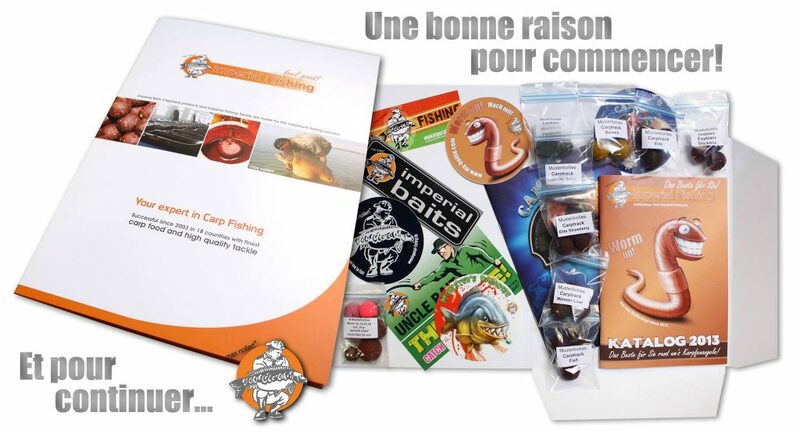 Here anglers can get their questions answered by those who have experience with the products. 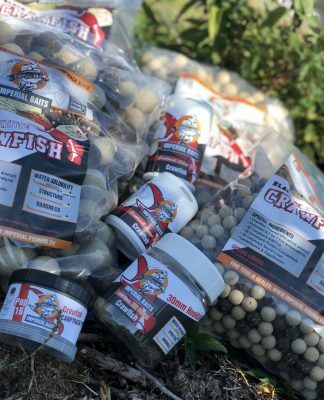 I recommend getting a spool for yourself, and if you too enjoy a little toothy fishing along with your carp fishing passion you will not be disappointed. 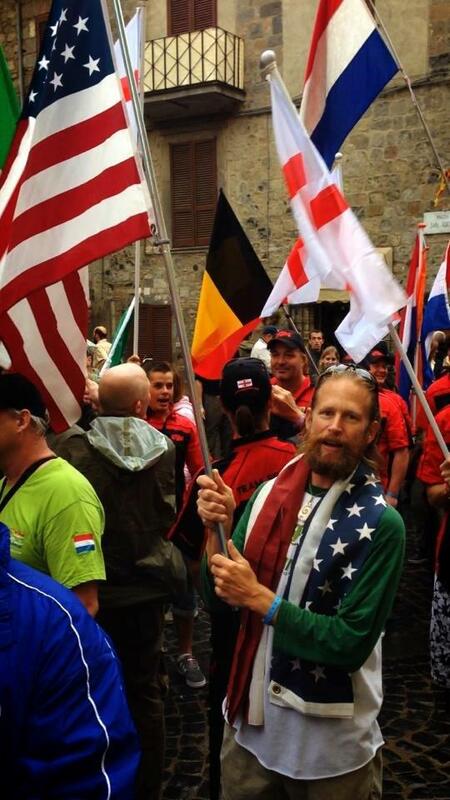 Getting to represent the USA at tournaments in Europe brings a great sense of pride. 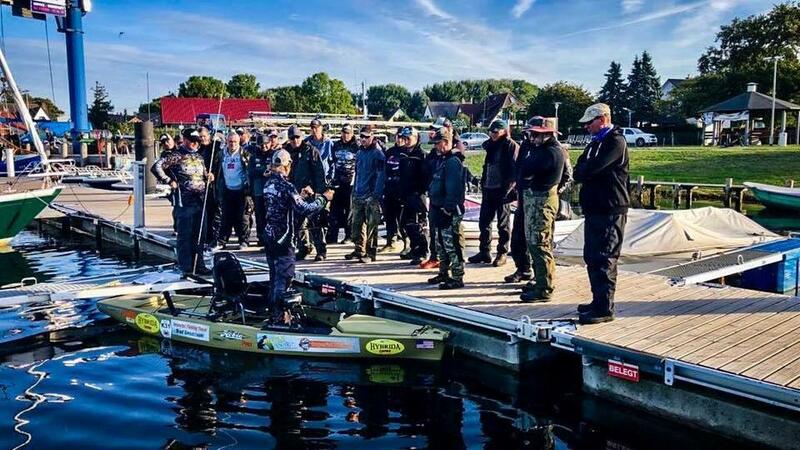 For some European anglers it is their first in person contact with Americans, and I get to meet anglers from all over Europe. 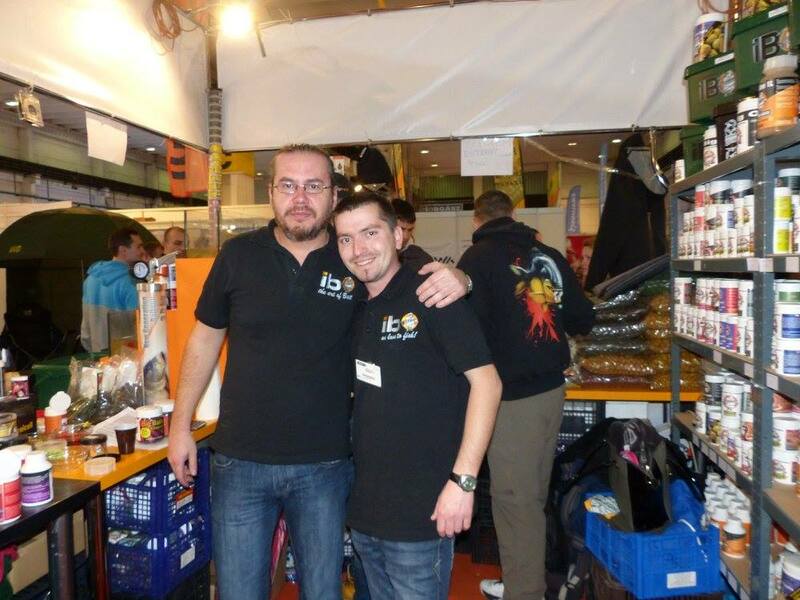 > Nachfolgend noch ein „Mixpicle“ The Power of IB – damals, wie heute! > Below a „Mixpicle“; The Power of IB – then as now! 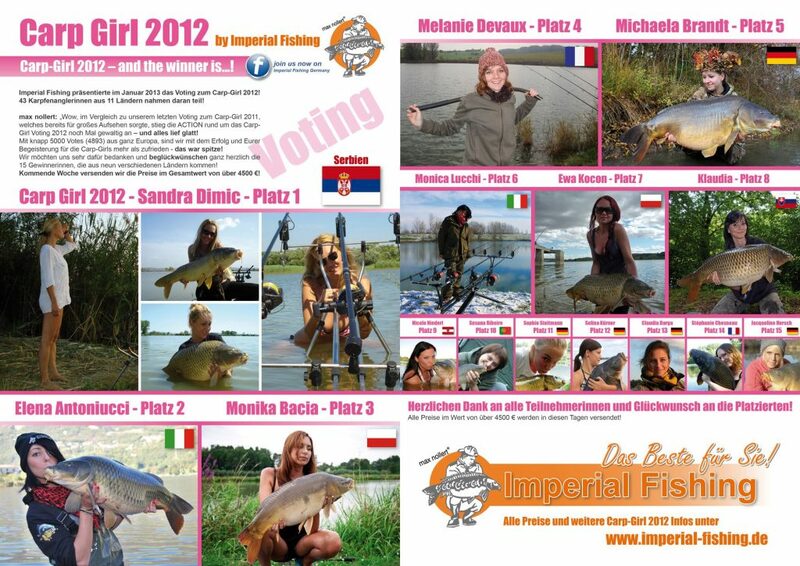 Das war nach 2011 bereits die zweite Staffel vom europaweitem Carp Girl Voting. Alle Gilrs von 2012, die damals teilnahmen findest du hier – Klick! 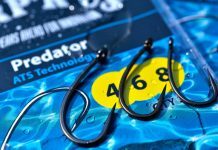 Musterboilies – wer die Wahl hat, hat die Qual! Immer wieder gern gesehen! Wer kennt die Story dazu noch nicht? 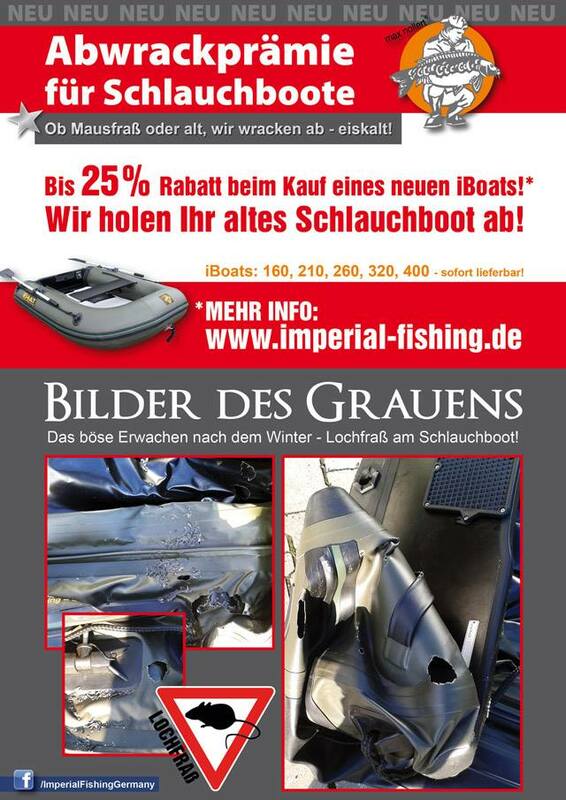 Gerade jetzt in diesen Tagen, wenn die Boote wieder aus ihren dunklen Winterlagern gezogen werden, kommt so manche Überraschung ans Tageslicht! Abwrackprämier hier! —————————————————————————————————————————————————————————————————————————————————Unser Laci von x-Fish – an dieser Stelle Grüße und good Carping für alle IB Fans in Ungarn! 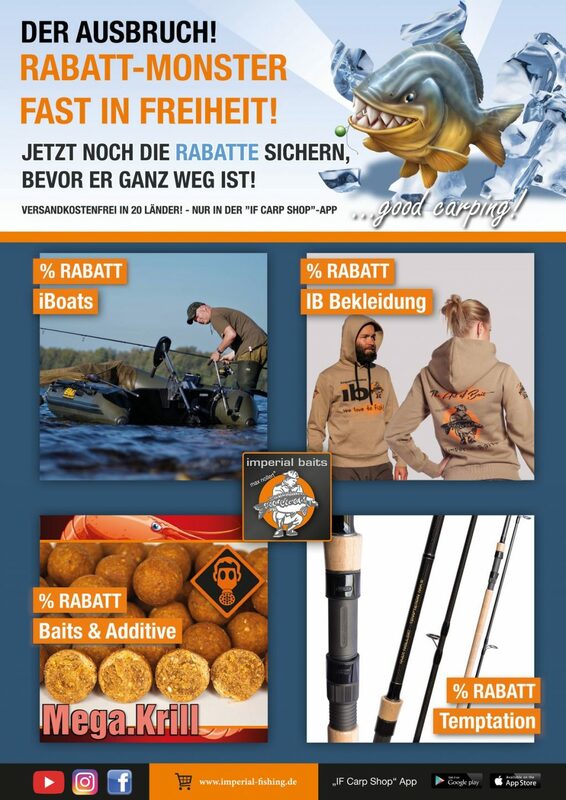 Werbung auf der Homepage von X-Fish, das Fishbook ist dort recht gern gesehen! 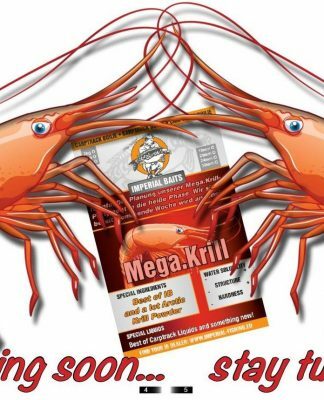 Was hat den der Marco da alles dabei… wir ich gerade gehört habe hat er mit den neuen Mega.Krill wieder schwer abgeräumt. Vorheriger ArtikelIst Erfolg so Selbstverständlich?